The My Mountain TreadClimber includes all of the functions of a conventional walking treadmill in a compact unit, featuring advanced electronics and whisper quite operation. The dynamic spring system creates a smooth, natural feel, that’s more like actually walking and helps minimize impact. With an range from -5 to a 50 degree incline, the intensity of the workout can be exponentially increased whilst still maintaining a comfortable low impact walking pace. 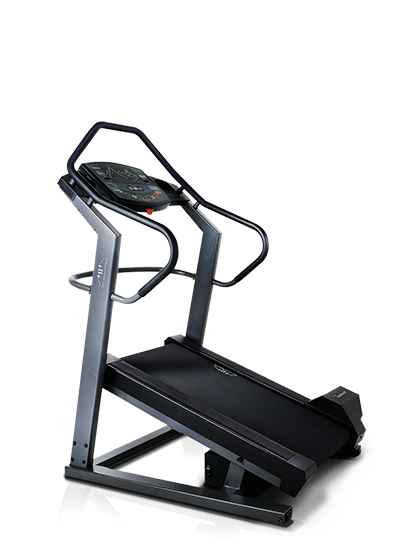 The My Mountain Treadmill features a number of programs which when selected automatically vary the incline to suit the users ability.